This period is full of difficulties and you will tend to question yourself, especially today. You will start thinking about your personality. Your ego risks bruising, and you will have the greatest difficulty turning your intention into real action. Your sensitivity prevents you from materializing your ideas. It would be fair to say that you love being recognized, Taurus. Today will enable you to show off your leadership skills. You will organize the day. You will accept your responsibilities and your smarts will help you welcome the day’s challenges. But stay humble and keep your actions simple, especially after intense emotions. You have a dynamic personality, Gemini. With today’s celestial energy, you should try to avoid expending your energy on pointless conversations. Try to be a little more pragmatic. Consider any possible compromises very carefully. If you stand strong, you will reach your objectives much more quickly. Today you could learn a lot from other people who are similar to you, Cancer. They have the ability to get involved easily and go straight to the heart of any problem. The world is in constant flux. You have to question yourself if you want to attain your objectives. Try to be open-minded, adapt to the situation, and act before it’s too late. The stars will compel you to clarify your position within the collective, Leo. You have a lot of power when you’re part of a group, but you’re sometimes clumsy about communication. You can’t always succeed. 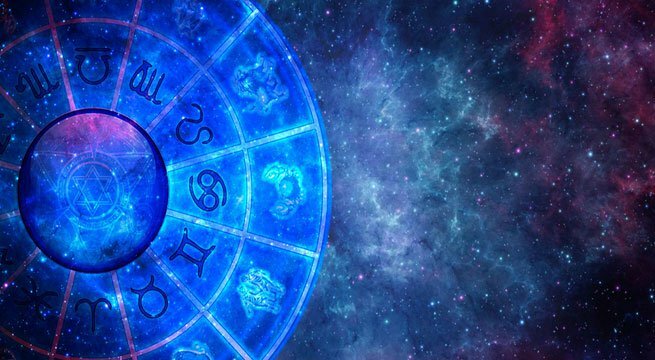 The planets’ positions will have a beneficial impact, and you will tend to put your life under the microscope. You’ve always wanted to change the world, and you’d like to share your dreams with your friends, Virgo. But today you don’t have enough enthusiasm to fulfill these dreams. You will question your personal strategies. You shouldn’t try to convince others all the time. Your friends appreciate you just the way you are. You have the tendency to plan everything, Libra. You need to feel in charge of things. Today you should try to listen to others around you. Let yourself go for a while, even though you aren’t used to it. Furthermore, you need to develop your personality. You can do this by opening up to others. You’re attracted to eccentric individuals with very strong personalities. But realize that behind this attraction lies a very strong need for freedom, Scorpio. In your life, freedom is more fantasy than reality. The time has come for you to do some soul searching. Try not to hide from the realities of your life. Today will destabilize you, Sagittarius. You’re trying to rebuild your life on new foundations. Perhaps should you try to change your point of view. Also, you need to preserve your perception, because it will allow you to adapt to all situations. You need to be fully alert and prepared at all times. Try not to become discouraged. You have a tendency to get very involved in your projects, Capricorn. Today the stars will compel you to clarify your situation. It’s already clear that you aren’t afraid to work long hours to ensure that your projects end in success. But your entourage will probably have difficulties keeping up with you. You’re too full of energy. Today the stars advise you to get back into the swing of things, Aquarius. You will forget your past frame of mind and be able to prepare for a new adventure. Your vitality will be as strong as it has ever been. You will probably meet someone who has a beneficial influence in the days to come. There’s a certain quality in your personal relationships that motivates you in life, Pisces. This is one of the reasons why your emotions play an important role in the scheme of things. You’re guided by your emotions. Today you will be in the best disposition to meet a lot of people who will give new impetus to your life.